It’s feels like it has been a couple years at least since I’ve made a “blog” post here. I have various sites in which I create content. Multiple sites have evolved focused on specific topics rather than one blog/website where in the content is separated by categories. Unfortunately this blog has not had many entries of late. My other blogs get filled in as needed. They are more like travel journals (ourlittleguytravels.com, geegeerides.com) or student record keeping (ricksrippers.com, rickboucher.wordpress.com). Oh, then there is Sir Simon Wheat’s blog. 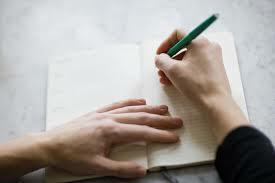 I write regularly in a journal, a paper journal. It’s an amazing medium. I could list the features here, but they are obvious. Random access memory for example. Instantly-on is another. My grandmother wrote a memoir called My Valley of Tears. We typed it up from photo copies of her hand written pages. It inspires me to write one of my own. I read my own paper journal entries once in a while and wonder, should I type these into a website? The thought of the world reading those terrifies me.